MusicArt London, founder Annie Yim, is presenting the seventh of its Conceptual Concert combining the recorded voices of composers and writers with live piano music performed by Annie Yim. The event juxtaposes poems from two centuries with musical responses to them by Debussy, Ravel, Cheryl Frances-Hoad, and Philip Glass. Arvo Pärt's Für Alina will be performed alongside a newly commissioned poem by Zaffar Kunial whose collection Us will be published by Faber in July 2018. John Cage's 4′33″ will be performed in a new version incorporating Ed Baker’s poem A Kind of Silence. 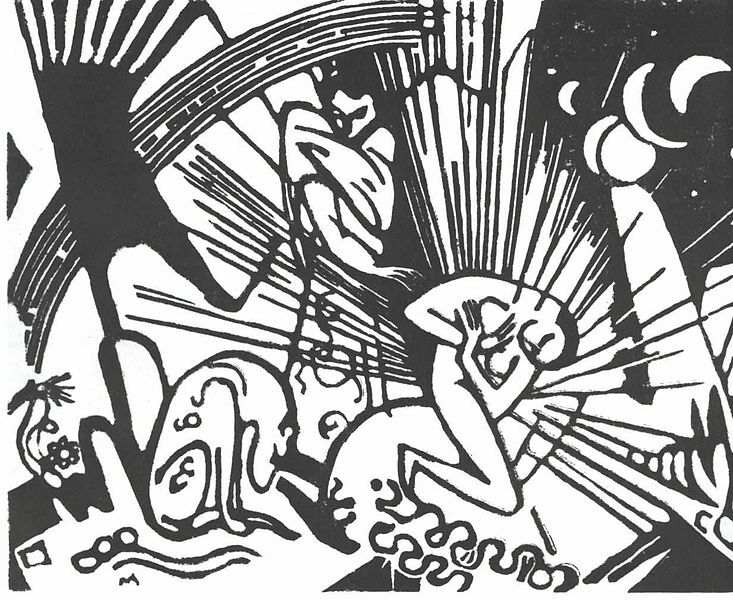 The other voices in the programme range from French poetry by Aloysius Bertrand and Charles Baudelaire to a personal love poem by John Cage; from Else Lasker-Schüler’s expressionist poem Versöhnung (Reconciliation), which inspired Franz Marc’s woodcut print, to Allen Ginsberg's anti-war poem Wichita Vortex Sutra. The event takes place on Friday 16 March, 1pm (for 1.10pm) at City, University of London, further information from the City University website.